Here are numerous providers on the further training market. Besides training by external providers, in-company further training is also widespread practice in Germany. 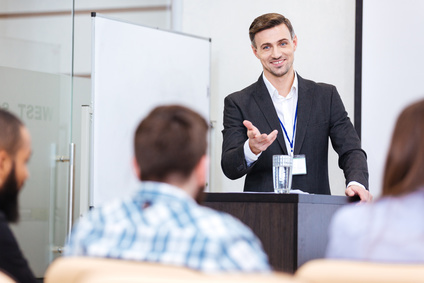 The best thing to do is first of all to clarify with your manager whether you are entitled to further training in the company. If your company does not offer in-company further training, or if it does include a suitable course, you have the possibility of consulting an external provider. There is a large selection of further training institutes in Germany both for in-company and external training: (private) universities, trade corporations and chambers of trade and industry, (private) training institutes and also adult education centres (Volkshochschulen). Note that training courses by external providers can be costly. Compare course content and the prices of the different providers before deciding. Tip: before engaging an external provider, enquire about further training offers in your company. Quality labels granted by approval bodies or associations, such as Weiterbildung Hamburg e. V., Weiterbildung Hessen e. V. or Wuppertaler Kreis, are also widely found. You can find out more on the website of the Federal Ministry of Education and Research. Does certification of the provider guarantee quality? Is the learning material up-to-date, and what kind of impression do the premises make? Are the participants instructed in how to record their progress and put what they have learned into practice? If you answer these questions with “yes”, you have probably found the right provider for you. Tip: take time to check exactly whether the provider's services fit in with your objectives and wishes.